Stay close to the action in one of New York Citys hippest neighborhoods. You wont need to go far to find a popular restaurant, gallery or variety of businesses. Our great Chelsea location also makes it easy to explore using public transportation. Behind our sleek design is the same casual comfort and service you expect from a Four Points. We have what you want, from snacks and brews, to a workout room. Dont forget the free stuff, like High Speed Internet Access and bottled water. Everything about our hotel is clean the look, the bed, the air. Simple, uncluttered design. The oh-so-comfy Four Points by Sheraton Four Comfort Bed in each of the 158 guest rooms. And every room in the building is non-smoking. Get a taste of New York in the eclectic Chelsea district of Manhattan. 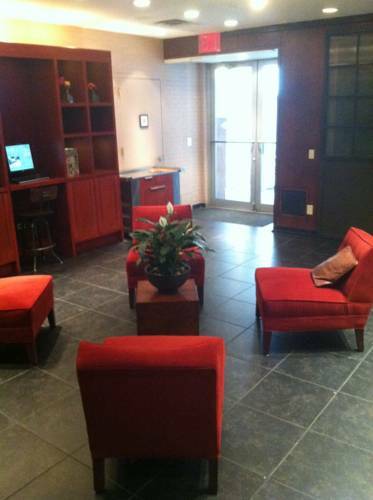 Convenient for business and leisure travelers alike, you wont be far from tourist spots or corporate offices. And some of New Yorks best restaurants within walking distance. And if youre up for it, dance the night away at one of the popular night spots in the neighborhood.